Have you been to Grover Ice yet? 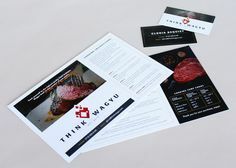 It is a community ice rink in Midtown Omaha and we are excited to unveil the identity campaign we recently completed for them. Let’s start with the logo. 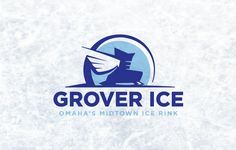 We went through several iterations, and every time came back to a illustrative logo that speaks to exactly what Grover does best – ice skating. The logo is an homage to the classic roller rink made popular in the ’70s and ’80s. 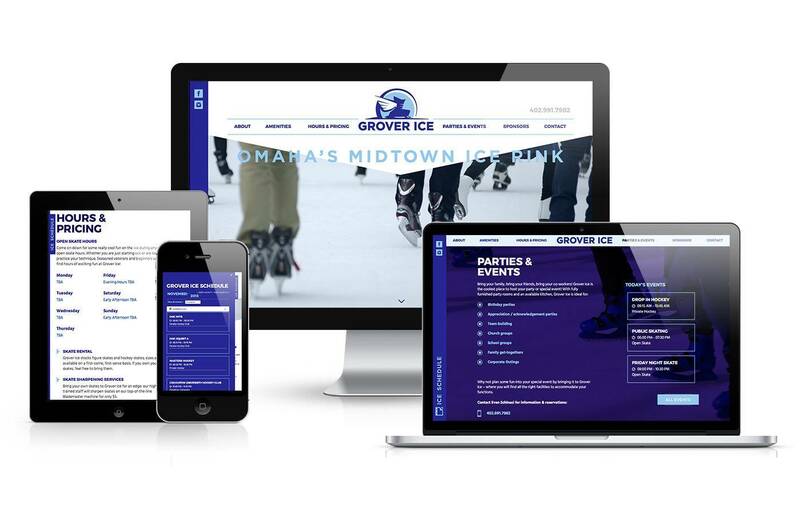 We made sure to include the tagline “Omaha’s Midtown Ice Rink” to emphasize that the ice rink is rooted in the community – and wanted to make sure that the Midtown community, who are very supportive of Midtown businesses – knows about it. 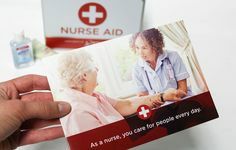 Along with the logo, we did a full identity campaign, including a website, brochure, business cards, stationary and exterior and interior graphics. The website has some features we really think are cool – including the pull out schedule that lets you see what’s happening at the rink from anywhere on the website and the looping video that gives a dynamic feel to the site. Across the site you’ll notice a monochrome color scheme that hearkens to the crisp, cold atmosphere of ice rinks.